On Thursday evening, July 20, 2006, the community of North Preston, Nova Scotia in Canada, was turned somewhat upside down. 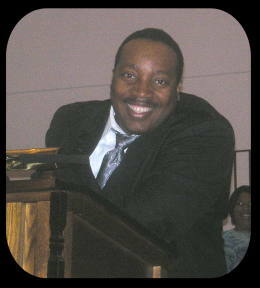 Some while ago, I won a special contest on GOSPELflava.com, where Verity Records was offering as a ‘prize’, the visit of renowned singer and minister Dr. Marvin Sapp to the winner’s church for a preaching engagement. After months of expectation and excitement, including advance coverage from the local paper, we welcomed Dr. Sapp to our church, St. Thomas United Baptist, for the very first time. As my Pastor, Wallace Smith, and Dr. Sapp walked into the main sanctuary to be seated, the congregation stood to their feet, eyes wide open and screaming from the top of their lungs, almost as if not believing that Dr. Sapp was actually in our building. It's not every day that God sends us someone like him to our community. Anything that Dr. Sapp was ready to teach us in his sermon, we were ready to soak up. But before he blessed us with his sermon, he blessed us with a song, "One Thing", from his Diary of a Psalmist album. One of his favorites, he said. Now, people had been asking me for weeks if Dr. Sapp was going to sing for us this night. I had told them no, because he was coming to preach. I told them that I wasn’t sure if he would sing. So I almost jumped to the celling when Dr. Sapp announced that he was going to sing a selection that night. As he sang “One Thing”, people started to come up to take some snapshots. What really got my attention was that he would pose in the middle of his song, stop singing, and make sure that whomever was taking a picture of him would get the perfect shot. His sermon was probably about an hour long, but it felt like half that. 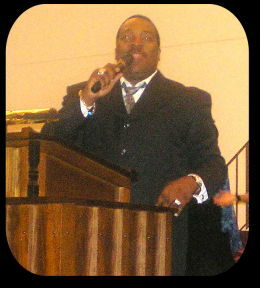 The subject Dr. Sapp spoke on was "you are going to be blessed, but not here". He explained that as believers, God has blessed us in many ways. He gave us the Earth so that we have a place to live, but were only here for a short time. Our blessing will come when we reach the other side heaven. That's when we will receive our true blessing. I could have stayed in church the whole night listening to Dr. Sapp preach the word. His words were so touching, and I believe that more than a few souls were saved that night. And that was the main purpose! It was not about putting on a show. He came to preach a word from God and he did what God asked him to do. This was truly an experience that I will never, ever forget as long as I live. Dr. Marvin Sapp is truly a man of the Word. All content in GOSPELflava.com © copyright 1997 - 2006. No information to be reprinted or re-broadcast from this site without the expressed written consent of GOSPELflava.com. All rights reserved.